Tucked away on the Connecticut shore, barely a half mile from one of the busiest highways in the nation, and surrounded by the neighborhoods that make up historic Bridgeport, lies­ the serene green expanse of Seaside Park. There, visitors find beaches, sports fields, vast stretches of lawn, towering trees and sweeping views of Long Island Sound. The observant may also spy wild parrots in the trees. How these colorful birds from distant climates came to inhabit the park is a topic of rumor and legend. Seaside Park was designed as one of the country’s first major “rural” parks, a sanctuary apart from the crowding industrial landscape. Calvert Vaux and Frederick Law Olmsted, already famous for designs of Central Park and Prospect Park in New York City, provided the blueprint. Legendary promoter P.T. 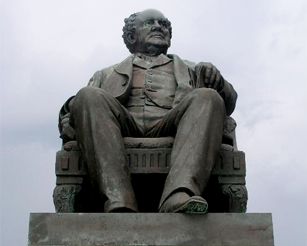 Barnum, Bridgeport’s most famous citizen, campaigned passionately to rally support for the ambitious project. The park’s full size of 370 acres – many reclaimed from the waters with dykes and fill – took shape from 1865 to 1920, and Seaside was regaled as a crown jewel among urban parks. 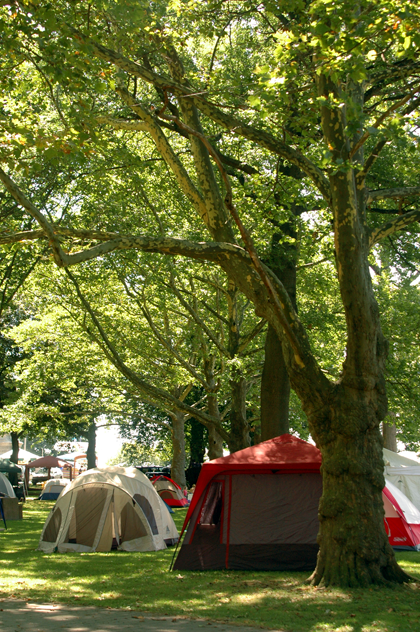 In 1999 and 2000, Gathering of the Vibes took place at Seaside Park. Though many musical performances had graced the park before, the Vibes was an unprecedented venture for Seaside – and a roaring success. Thousands of campers took up residence for extended weekends of music and revelry, and suddenly a once-small festival blossomed into a major event. A sweeping restoration and renovation project prevented a return in the following years, but the charms of Seaside Park were not forgotten. In 2007, with work completed and facilities improved, the time was ready for Gathering of the Vibes to return to the waterside haven. Once again, the City of Bridgeport welcomed our vibrant tribe back to enjoy the plush grass fields, shaded groves and peaceful beaches, together with amazing musical performances. We added car-side camping for the convenience and comfort of the VibeTribe and, on a gorgeous summer weekend, we congregated once more to enjoy the natural beauty of the park, unforgettable musical performances, and a renewed sense of community. As a direct result of the respect, kindness, and compassion the VibeTribe demonstrated toward the city, its park and its residents, Bridgeport’s Board of Parks Commissioners unanimously approved the Vibes return in 2008 for an additional five years. Nestled in scenic Bridgeport, Connecticut, with 370 acres of lush lawns, shady glades and sports fields rolling toward Long Island Sound, Seaside Park is without peer on the Eastern Seaboard.